You would like to go on a date tonight, but you don’t want to spend time and effort convincing someone to be near you? IAC chairman Barry Diller would like to help. 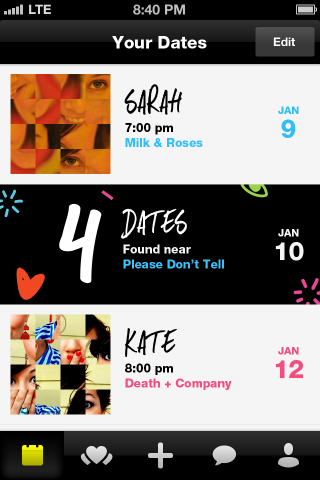 His Match dating unit is rolling out Crazy Blind Date, a mobile app that promises to provide just that: A fix-up with someone you’ve never met, and haven’t been able to see. The basics: You tell the app (iOS and Android) when you want to go out, and where, and it finds someone with the same (basic) requirements. Both of you get a scrambled picture of each other, which should be enough to let know if your date has horns or tribal tattoos. But that’s about it. Then you’re supposed to go meet up for 20 minutes. I can’t imagine a soul I know who would rely on a mobile app to fix them up on a blind date. But, then again, I don’t think I know many people who would go on a blind date, period. And I’m now so old that I’m frequently baffled by all sorts of digital social interactions — Snapchat let you do what? Why? Really? — and that makes me wary about handicapping any of this stuff. 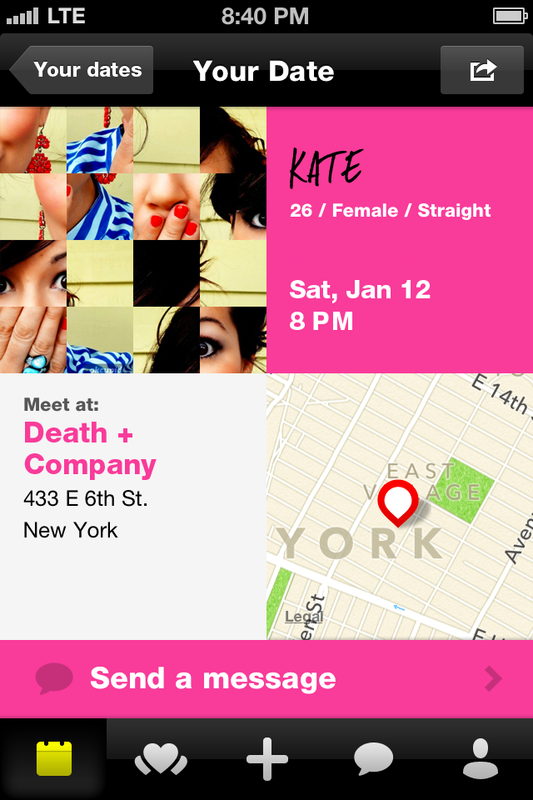 Update: Thanks to Erin Griffith for pointing out that this isn’t a new concept: OKCupid, which IAC bought in 2011, tried this out, sans app, in 2007. What’s really interesting about Crazy Blind Date, though, isn’t the overarching concept, but the reputation system it is trying out. The app is free, and so is the matchmaking service. But once you’ve gone on a date, you’re encourage to rate your counterpart. And if you want to give them a thumbs-up — “kudos,” in the app’s parlance — you have to pay to do it, via an in-app purchase. The ratings have nothing to do with whether you get a second date — the app will help you message your date after the fact, but the rest is up to you. But those ratings will carry weight with the app’s algorithm, says Match CEO Sam Yagan. People who accumulate more kudos are more likely to get fixed up on future dates — as are people who pay for lots of kudos. “Your value to the community is both the amount of money you make, and the amount of money you raise for other people,” he says. The notion takes some explaining — I ended up going over it with Yagan several times — and I’m not sure how obvious it will be to Crazy Blind Date’s users. But it’s basically a “tip jar” approach, except that the tipper also gets credit. And your approach to the incentive system may differ based on gender: Yagan imagines that men might spend money on women in hopes of impressing them (I keep thinking of dudes “making it rain” in strip clubs); women may spend money on guys they went out with because of pity/guilt. We’ll see! The idea, beyond generating revenue for IAC, is to play around with commenting/rating systems we’ve become used to online, which are both helpful and notoriously unreliable. So the notion of forcing people to put their money where their mouth is, or would like to be, is worth watching. Even if you’ve got a full social calendar.